I have hosted and blogged about a number of book challenges in the past (like the January/February Book Challenge and Spring Book Challenge). It’s been a while since I’ve hosted a book challenge, and I know it’s a great way to kick off a new year! I love a book challenge because it pushes my students to read outside their comfort zones and try some books that they typically wouldn’t pick up. 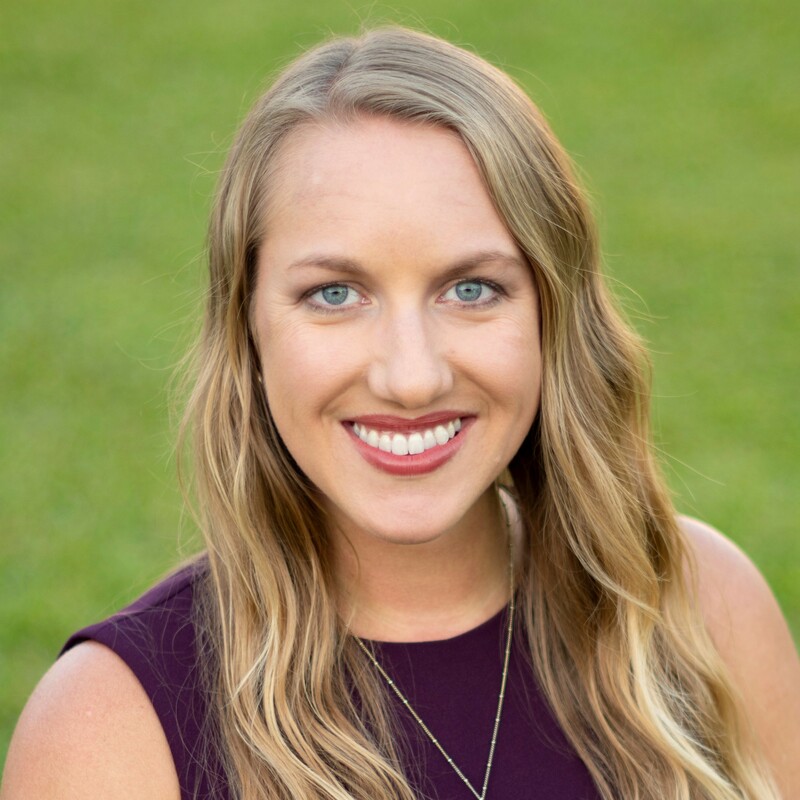 I’m still working through a “prize” (I really don’t like doing prizes because I would rather my students be intrinsically motivated…but I know prizes are nice, too). We will probably have a drawing of some type for students who participate and turn in their forms by the deadline. 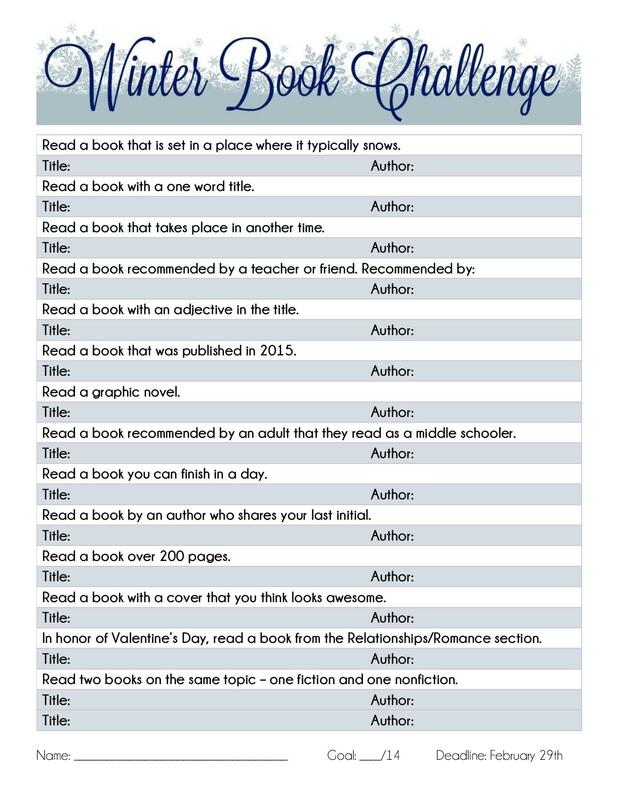 Feel free to use this Winter Book Challenge as your own! I’ve uploaded it to Google Drive, so you can download a copy for yourself and make any edits on your own document. I love this! This year I decided to do the 40 book challenge all year long but I’m learning that a year-long challenge tends to lose steam by January. Since I’m not their classroom teacher and don’t see them often I can’t be there to remind them to enter their books or about the challenge. So I was thinking of doing several short reading challenges throughout the year like the this one you’ve shared. THANKS! Do you mind sharing your spring break and January/February one too???? Sure! I linked the text above to bring you to my posts for each of those other challenges. I don’t think that the format I saved/shared them in is as easily shareable, but you could still take the challenge topics and adapt them. Thanks! I wanted to create a challenge for Jan/Feb but was genrefying and rearranging the library until this past week. This is a fantastic challenge I know my students will love! We’re also looking at having classes challenge each other to read a certain book goal as well and have both individual and class prizes. Thanks for all the great ideas!! Thanks! I’m going to work off of this for my high school students. I cut down to 10 books for them! This is my first time trying a challenge so I hope I get at least one student who will complete it! I really like this idea and that it helps students step out of their comfort zone. I am forever trying to get my students to read books that are interesting. They tend to read the same thing over and over. This next week, we are doing book talks and they are so excited. I hope this will spark some interest in different types of books.